OK, forget everything I said last week. If the damned engine ever gets back on the plane, we’re not going to follow our original break-in plan. I’m going to do it by myself. Or at least the first part of it. Now, in case you’ve forgotten, back in early September the freshly rebuilt engine was bolted onto Tess and I innocently planned a break-in flight. My flight plan had us taking off from Santa Fe early in the morning, turning south and shooting down the gap between the northern tips of the Sandias and Rowe Mesa at low altitude, turning east at Moriarty, then barnstorming at 500 feet AGL across the empty wastes of eastern New Mexico and over our home base of Santa Rosa—where the colors on the sectional chart change from khaki to pale yellow, telling us we’d be below 5,000 feet. On we’d fly into West Texas, our nose pointed toward Herford, a town southwest of Amarillo, where we’d stop for fuel. All of this was planned for an optimal break-in: The lowest possible altitude; minimal low RPM ops; no long descents; landing with some power; and keeping the taxi as short as possible. Next, we’d fly to Palo Duro Canyon to follow the wide dry wash called Prairie Dog Town Fork. This is where the sectional map changes from pale yellow to tan. We’d then be below 3,000 feet for the first time on the flight. A scant thirty miles farther on, at a random lat-long, the color on the sectional map changes to sage green and the terrain below our wings would stand at 2,000 feet above sea level. We would have travelled 349 miles to reach this point. There’s no closer low-lying land. From there we’d turn northeast and follow the edge of the escarpment until we reached Weatherford, OK, elevation 1,605 feet. The next morning we’d do it all again. In reverse. Then it would be time for the new engine’s first oil change. First off, it wasn’t a test flight. It was a break-in. Secondly, Lisa is a pilot, and a common (if not required) crewmember, so I never think of her as a passenger. That said, I do know the statistics on engine failures after rebuilds, and she and I discussed the issue at great length. She accepted the risk and basically threatened to chain herself to the propeller if I refused to take her along. But then she also insisted that we create a series of customized engine failure checklists for each runway we might use, and procedures at each altitude—a degree of safety I probably wouldn’t have bothered with on my own. Still, I never thought of it as a test flight. Only an engine break-in. Soooooo….. Does a simple engine rebuild fall under this regulation? As it turns out, that’s a hotly debated subject, but one that I’ve been thinking a lot about since the reg was pointed out to me. On the surface, I’d say, no, it doesn’t. At least not for most rebuilds. If you follow the manufacturer’s recommended schedule for overhauling the engine, you’d be hard pressed to tell the difference in performance before and after a rebuild—except when looking at the balance in your checking account. And it certainly wouldn’t cause an “appreciable” change in flight characteristics. 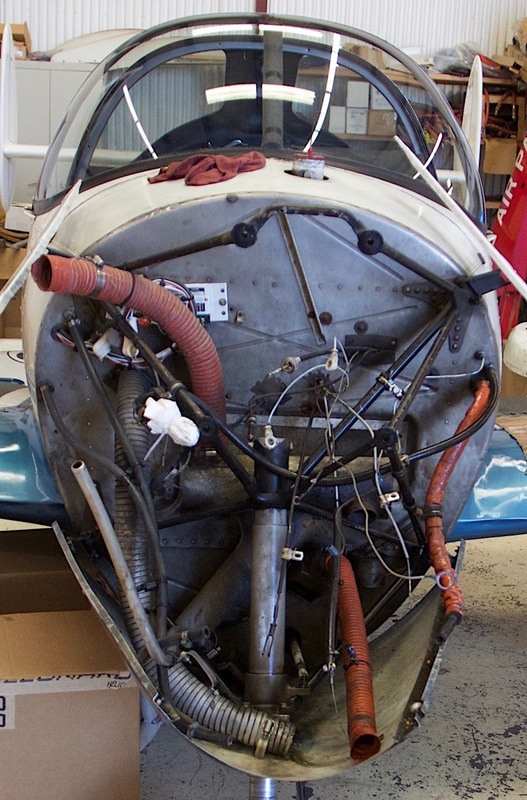 Even if you put off the overhaul until your engine was getting pretty doggy, you might find your plane had quite the spring back in its step, but it wouldn’t fly differently. I personally feel that the intent of the law is aimed more at things like the installation of vortex generators, which totally change takeoff performance. On the other hand, we didn’t just rebuild our C-85 engine. We (legally) converted it to a 0-200 stroker. That’s mainly for ease of parts availability, and while the Supplemental Type Certificate (STC) paperwork says there’s no power change, most people I talked to reported a lovely increase in horsepower. Was that because they put off the rebuilds so long that it just seemed better compared to their worn out engines, or does the stroker really deliver more oomph? The more I thought about it, the more I began to wonder if my “new” engine fell under 91.407, but the coffin on my original plan wasn’t nailed tightly shut just yet. But the next nail came swiftly. Now, I’ve been behind on my reading. I have no excuse for that because it’s not like I’m busy flying, or anything. But two nights ago, I finally got to the August issue of AOPA Pilot. As I was thumbing though it, I came across Mike Busch’s excellent Savvy Maintenance column. And guess what? Yeah. He was talking about the damn 91.407, and it sounded like he was talking directly to me. He was quick to point out that the regulation isn’t clear about what types of maintenance require a “test flight,” but he specifically talked about a crash following an engine overhaul. Well, a crash plus a second almost crash, both of which, thankfully, had happy endings—at least for the people in the planes, if not for the planes themselves. Well, at least I had the sense not to take my son with me on the first flight, but maybe I wasn’t taking this seriously enough, even so. I gave the article to Lisa. She’d previously read the readers’ comments and the CFI’s email. 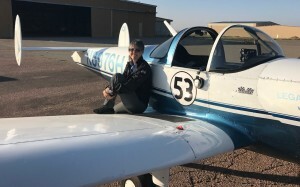 The next day she told me she’d read the article and that she decided that when we get the engine back, I should orbit the Santa Fe airport—solo—for an hour or so, land, inspect, then fly solo back to our home base. If all was well, on another day we could make the formal break-in flight to sage green on the sectional chart as a team. The Law sayeth, “no person may act as a pilot in command of an aircraft carrying passengers unless that person has made at least three takeoffs and three landings within the preceding 90 days.” It’s called currency. Generally, I fly so much that I never need to give currency a second thought. But thanks to my ongoing engine rebuild saga, my logbook, just like my wallet, is quickly running out of currency. My most recent flight was on September 3rd. But it only had one takeoff and one (emergency) landing. Prior to that, I need to go back to July 24th when I flew a rented Ercoupe back to its owners in Arkansas after the Air Venture Cup. Let’s see here, counting 90 days from July 24th gets me to… October 22nd. Which is this coming Sunday. If by some miracle Tessie were put back together today (Ha!) I could grab my copilot and re-attempt the break-in flight. But otherwise, I have a legal problem. Of course, it’s not an unsolvable problem. It’s just proving to be a dammed difficult one. Here’s the tale: My mechanic isn’t a guy you can pin down on dates, and doesn’t understand the concept of a deadline. Things get done when they get done. I suspect his father and his grandfather worked for the Department of Motor Vehicles, or maybe the Post Office. Still, as of today, my Mark III engine—my laugh or cry nickname for the third attempt at getting my engine working—isn’t even on the test stand yet, much less on the airplane. Realistically, we’re looking at sometime around Thanksgiving before I have a (hopefully) airworthy airplane again. At least we’ll have much to be thankful for this year. But back to the law. The lack of the three landings doesn’t prevent me from flying solo. It’s just a restriction on carrying a passenger. The normal solution to this situation is to just jump into your airplane and do three quick takeoffs and landings while your passenger is unloading the luggage from the car. But there’s nothing normal about my next flight. The plane will basically have a new engine. 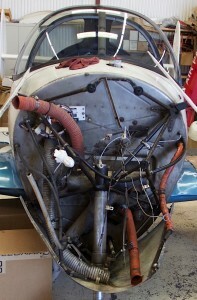 A new engine born and installed at high altitude, which is a problem for an aircraft engine. To break in properly, the engine needs to be run at high RPM and get to low altitude as quickly as its propeller can carry it there. About the worst thing I could do to it would be to make three takeoffs and landings in the first half hour of its life. So doing a trio of touch-and-goes to start the day isn’t an option. I decided the best solution was to rent some other plane and do the stupid takeoffs and landings and get current again before Tess was ready for testing. Now, before Tess joined the family I was checked out in an airplane in Santa Fe. Had I bothered to keep up with it, I could have just rented it for a half an hour and taken care of this on my own, but I’m so comfortable in Tess that I haven’t bothered to fly anything else for years, so that was out. I’d have to fly with an instructor. It would be a little more expensive, but I didn’t expect any problems. I fired off an email to the flight instructor I fly with every two years for my flight reviews, told him what was going on, and asked for a mid-November flight. His logic was that I didn’t need to be current to fly solo, and he didn’t feel I shouldn’t have a “passenger” along on a post-major maintenance flight. Well, let’s talk about that. In many ways, this is a test flight, because you just never know what might happen after major maintenance. Like the instructor, many pilots argue that you shouldn’t have another person in the plane with you for such a flight. Others point to reduced accident statistics for two-pilot flight testing. The whole issue was discussed over several dinners in my household. Poor Rio was voted off the island by all the adults in the first round. No children—not even mature talented aviator children—on a “test flight.” But another adult? That was a trickier question. At first, I was against it because I knew there was at least a theoretical risk involved. But my long-time copilot Lisa saw it in a different way, and made a compelling argument for Crew Resource Management and the value of two sets of eyes, two sets of hands, and two minds. In her opinion I was safer with her onboard than I was by myself, and in the end she was proven correct. And that experience hasn’t changed her mind about coming along for round two. But what to do to get current so it will be legal? I don’t want to get current in Tess once her engine is on and working, as I feel there is a risk of damaging the new engine. My regular go-to guy refuses to help, not wanting to be party to something he personally disapproves of—which while annoying, I actually respect. I don’t have any local pilot friends I could hitch a ride with, as ours is the only plane housed at our home airport. And several other crazy ideas I had either didn’t pan out, or—like traveling to Arkansas to rent the last Coupe I flew—were too expensive. Frankly, I don’t know. But, sadly, it looks like I have plenty of time to figure out how to get current, because currently Tess is nowhere near being ready to fly. My hangar, of course, is still empty. And it’s going to be that way for at least another month and a half. By the time I have our plane back, I’ll be out of currency and it will be illegal for me to take up a passenger until I’ve carried out three takeoffs and landings. How I’m going to work that into the minimize-the-landings-to-break-in-the-engine thing I don’t know. I may have to rent someone else’s plane before our test flight, just for the stupid takeoffs and landings. But I’ve yet to hear any updates from the mechanics, so that’s a problem for another day. But back to the empty hangar. On our way back from the STEM Expo I told you about last week, we stopped at the hangar to drop off our trophies and rubber chickens. It was strange, spending one day in a hangar teeming with noise, motion, and people—and the next day standing in quiet solitude in another hangar. For background, in case I never told you, the family plane isn’t mine. I’m her pilot, but the plane belongs to my mother. She originally bought it as an investment. Yeah, that didn’t work out too well, at least, not in the financial sense. But as an investment in fun and adventure for her, the payoff has been beyond all expectations. So my mother holds the title, and she has willed N3976H straight to my son Rio. I’m the trustee until he’s of age, but Tess goes from her to him. I just keep the oil warm. Mom is still alive and well and Rio is only fifteen, so I don’t give this much thought. At least I didn’t until this weekend. No, Mom is fine, but Rio—pretty much for the first time—is talking seriously about college. He has his eyes set on aeronautical engineering; a good fit for him, and a career field that’s going to be wide open for his age group. At the Expo he spent quite a bit of time talking to engineering students from the different colleges in the state. Prior to this weekend, he’d had his eye on the excellent (but pricy) Embry-Riddle Aeronautical University in Florida. Embry-Riddle actually has a campus here in New Mexico, but the local campus is pilot training orientated; and while there are a number of mechanical engineering programs at the state universities, none focus as narrowly on aerospace as he’d like. But he had an eye-opening conversation with one new graduate who’d discovered that he was unable to land a job because he didn’t have a master’s degree. This led to a conversation about an accelerated BS/MS program at one of our State’s universities that Rio liked the sound of. While not a full-fledged aerospace program, it had an option of an aerospace emphasis. Rio and I chatted about it at dinner after the Expo. I told him that while I felt a more generalized course of study wouldn’t be as interesting, it had two advantages: It would give him more career options; and it might make him a better engineer, as he could bring a wider perspective to bear on a problem. As an afterthought I also told him if he was going to school instate, he could fly home with his dirty laundry each weekend in his Ercoupe. His dark brown eyes lit up at the prospect. But when this happens, I won’t have a plane to fly anymore. At least not one waiting eagerly for me in my hangar, mine to fly whenever I choose. In three short years, all my nests will be empty. Home, hearth, and hangar.